Where to buy cheap diabetic test strips? 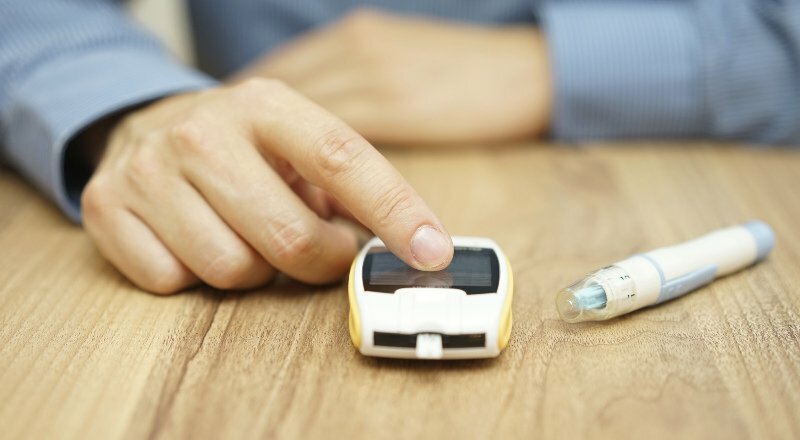 For people with diabetes, costs can add up. Items like test strips can put a dent in your budget. Some people are even tempted to skip buying these to save money. It’s a very bad idea to try to save money by skipping your test strips. Checking your blood sugar regularly allows you to manage your diabetes. This can prevent severe health problems down the road. Those health problems will cost you a lot of money (even if you have insurance). They will also cause you a lot of suffering. It’s very important to take care of your diabetes. Instead of skipping the test strips, you can find cheaper ways to get the supplies you need to take care of yourself. One easy way is to switch to using a generic meter and strips. Pharmacies like Walgreen’s, CVS, and Walmart offer their own meters and strips for a far cheaper price. These work just as well as brand-name devices. In fact, some generic strips may even work better than brand-name strips. The strips end up costing more than the meter over the long run. That means you should choose the meter with the cheapest strips, instead of choosing the cheapest meter. It may even pay off to buy a new meter, if it means you can switch to cheaper strips. If you’re paying too much for strips and choose to use a new meter, you can always sell your diabetic test strips for cash as long as you paid in full for them. If you have insurance, check which strips are covered before you buy. Health insurance might only cover brand-name strips. That could mean that the brand-name strips actually end up being cheaper than the generic ones, because you only need to pay your co-pay instead of the full cost. You may also be able to save by buying in bulk. For example, a box of 50 test strips may cost less than two boxes of 25. Sometimes, you can buy in even larger amounts. You will usually only pay your co-pay once per prescription. Ask your doctor to write a prescription for a larger number of strips at a time. Then, your co-pay will get you more strips for the same amount of money. Some of the diabetes supply companies also offer Patient Assistance Programs. This can make the brand-name strips as cheap as the generic ones. Programs such as Benefits Checkup (benefitscheckup.org) and Rx Outreach (rxoutreach.org) also provide financial help for low-income people with diabetes. Check their websites to see if you qualify. Online retailers often charge less than a store would for the same product. However, it’s hard to be sure that a product is being stored correctly when it’s sold online. Products may be stored in hot delivery trucks. This can damage the strips, so they give the wrong readings. Getting an inaccurate blood sugar reading can be dangerous. This is why buying online is generally a bad idea. Some websites buy test strips from insured diabetic patients, and then resell them to others. The problem with this is that the strips are often stored incorrectly, and may also be expired. Again, they can give inaccurate readings. You should only buy from a certified seller. To be certified, the seller has to pay attention to how the strips are stored. It’s very important to check your blood sugar regularly. This allows you to care for yourself. To avoid the health problems caused by diabetes, like blindness, amputations, and kidney disease, you need to check your blood sugar, so you can adjust your food and your medications. If you skimp on your test strips now, you could pay for it later.